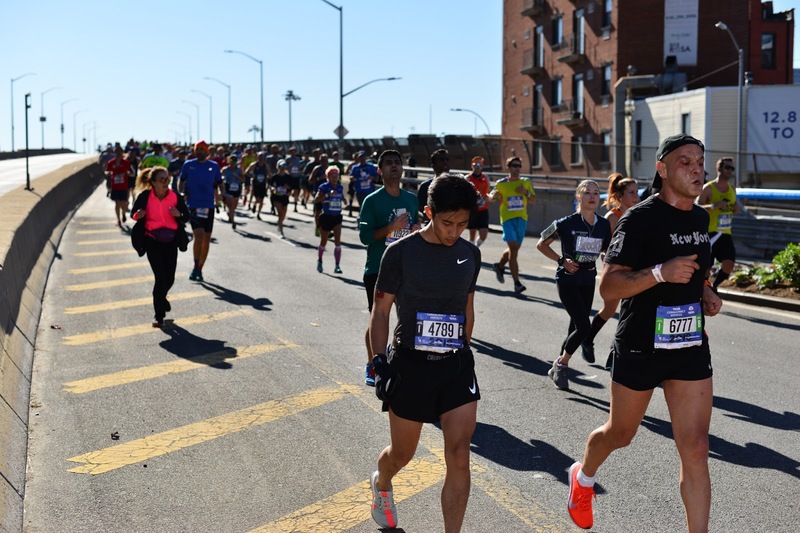 The TCS NYC Marathon Live From the Pulaski Bridge. 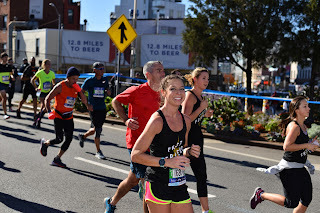 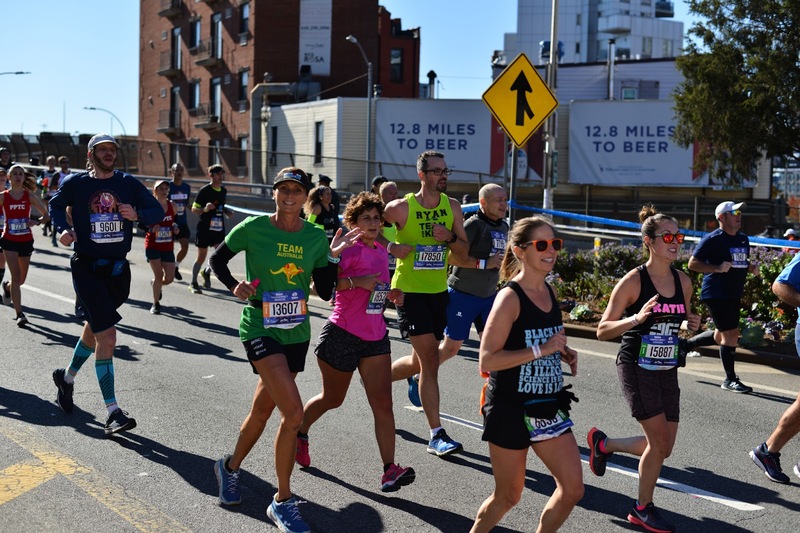 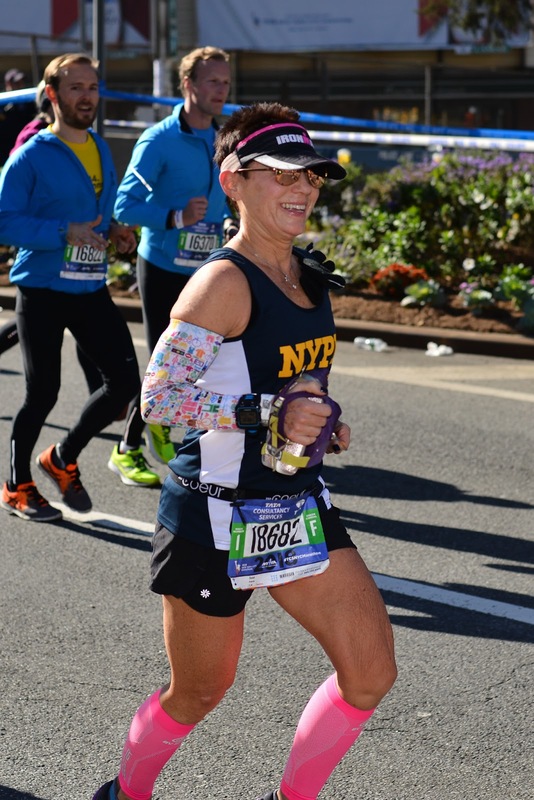 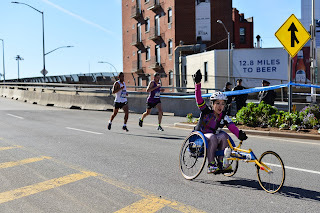 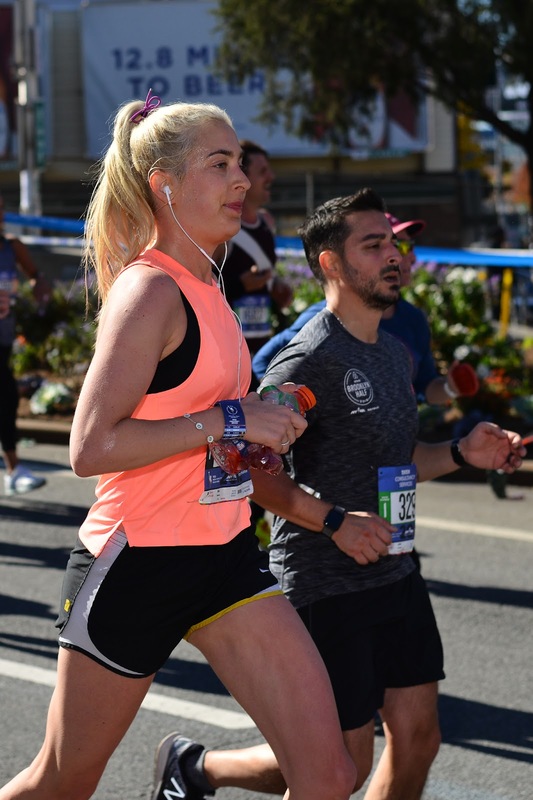 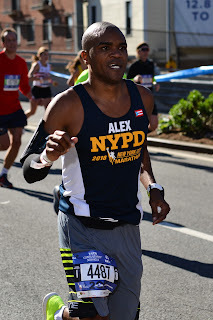 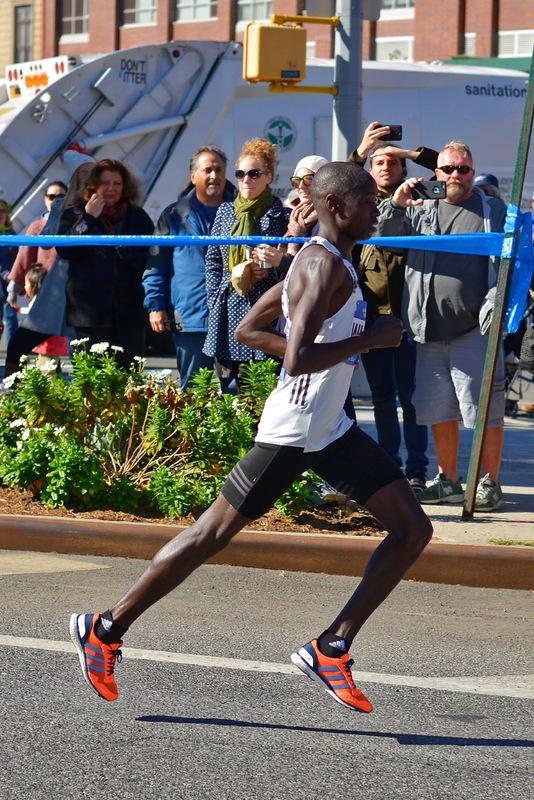 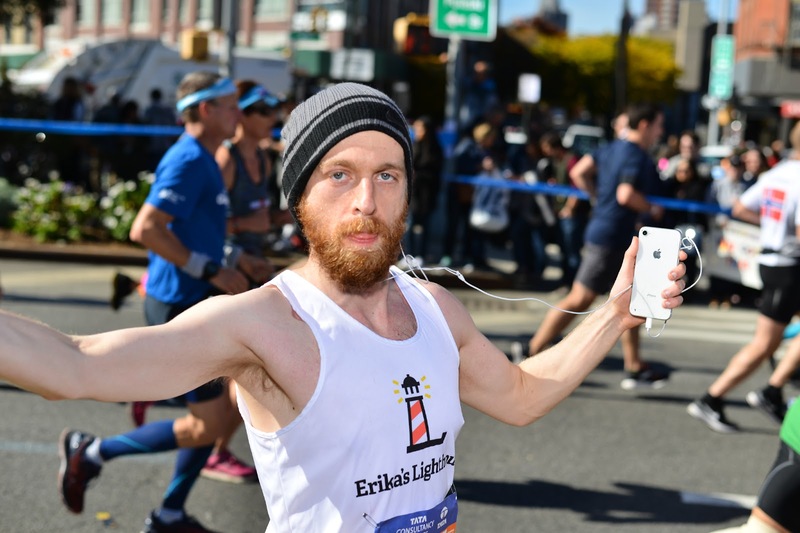 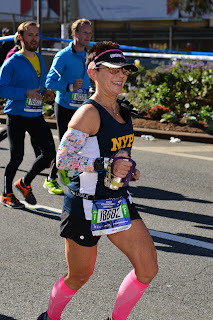 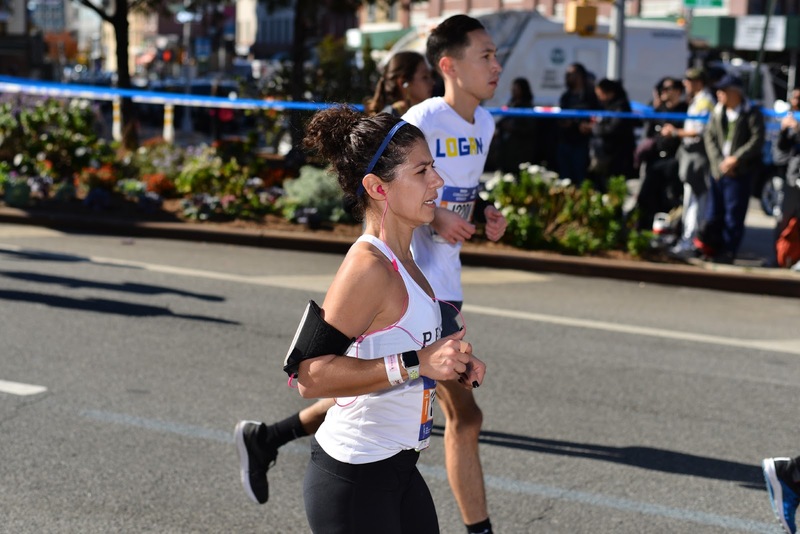 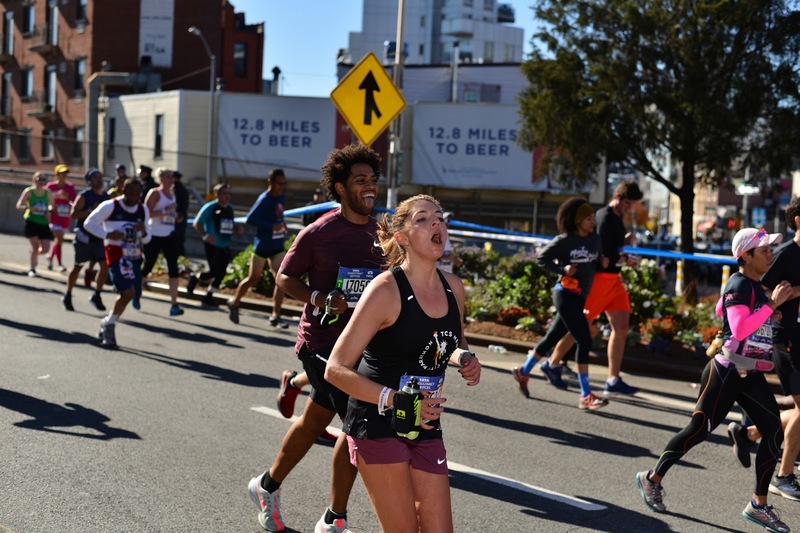 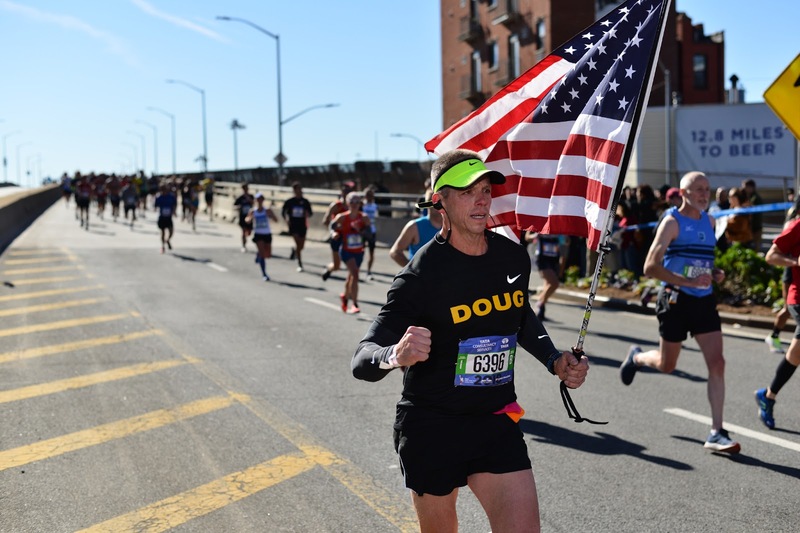 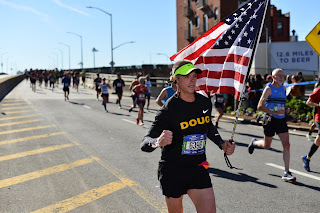 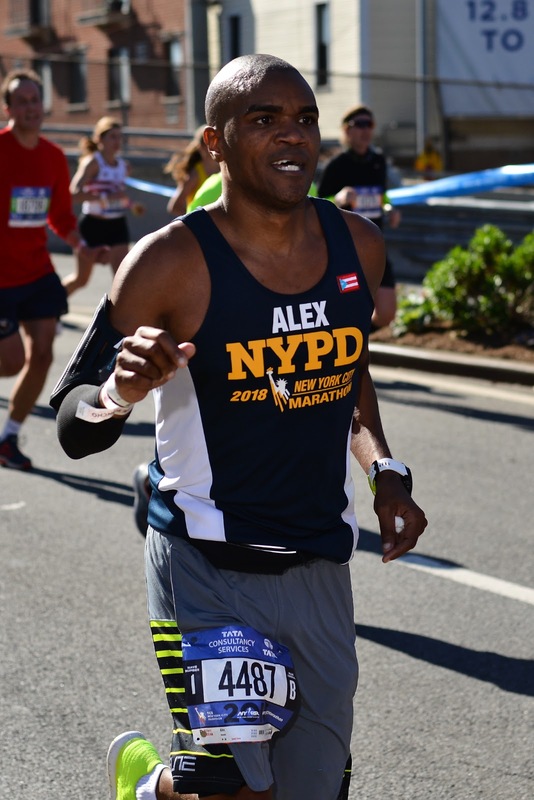 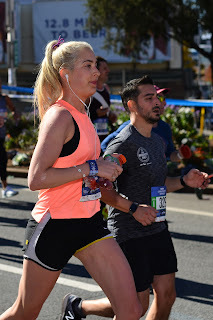 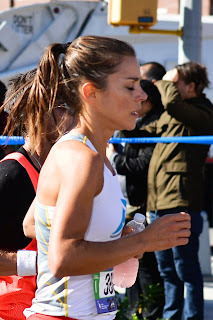 Another exciting year for the Tata Consulting Services (TCS) New York City Marathon, as the competitors entered the borough of Queens over the Pulaski Bridge which connects the neighborhoods of Greenpoint in Brooklyn and Hunters Point in Queens. 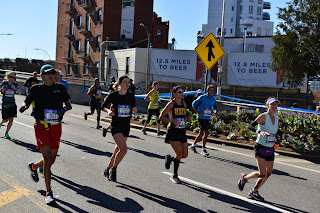 This is one of the best locations to greet the runners as they are coming over the bridge. "Welcome to Queens", the proud residents shout from the sidelines, to encourage the runners that they are halfway to the finish line at this point. The marathon participants are both competitive and celebratory at this point in the race, and some even stop to have their pictures taken for the many media and press photographers awaiting their arrival. 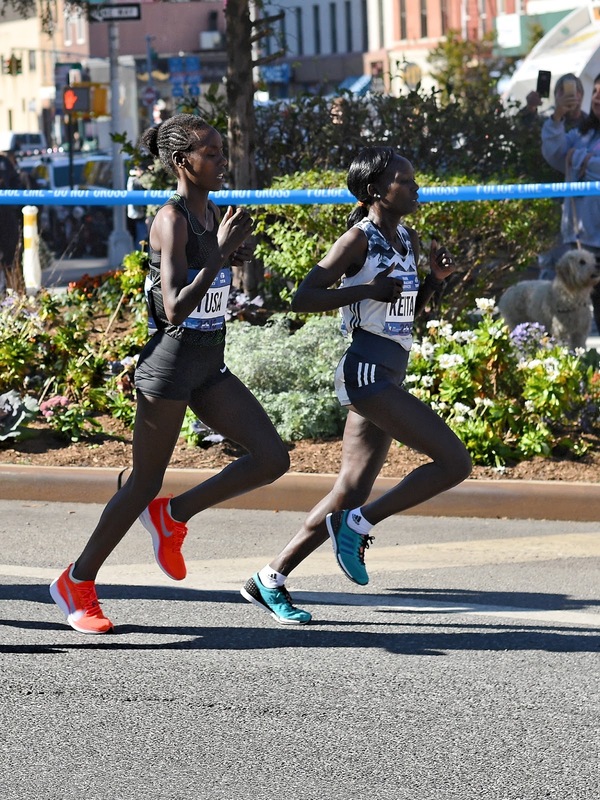 The first runners to cross the bridge were the elite women, led by the eventual race winner, Kenyan athlete, Mary Jepkosgei Keitany. 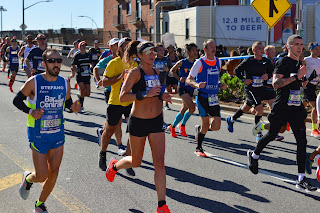 Shortly after the elite women crossed over into the Queens section of the race, the elite men blazed by us so quickly, we barely got a glimpse of them. 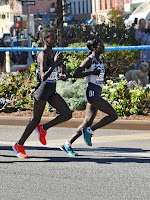 In the pack, however, was the eventual race winner, Leslie Desisa. 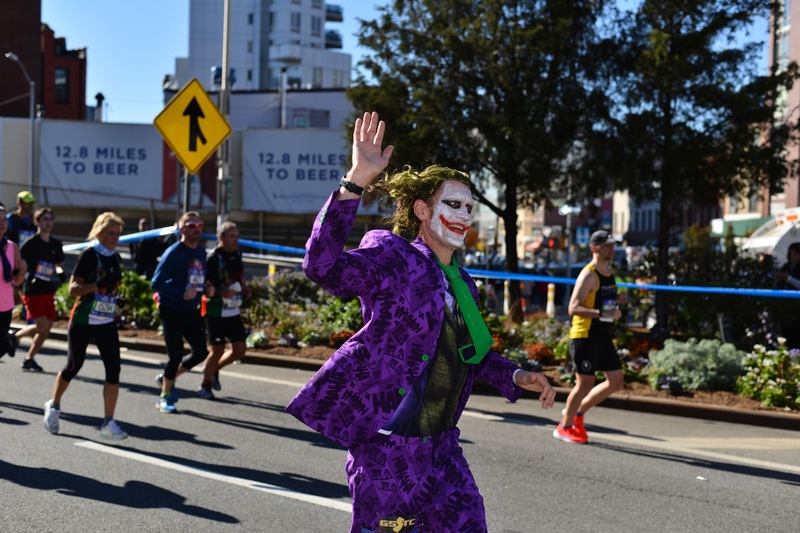 Moments later came the masses of runners from all over the world, representing a wide range of organizations and running clubs. Some of the athletes were running to get out a message, or a personal statement, while others, for the pure enjoyment. 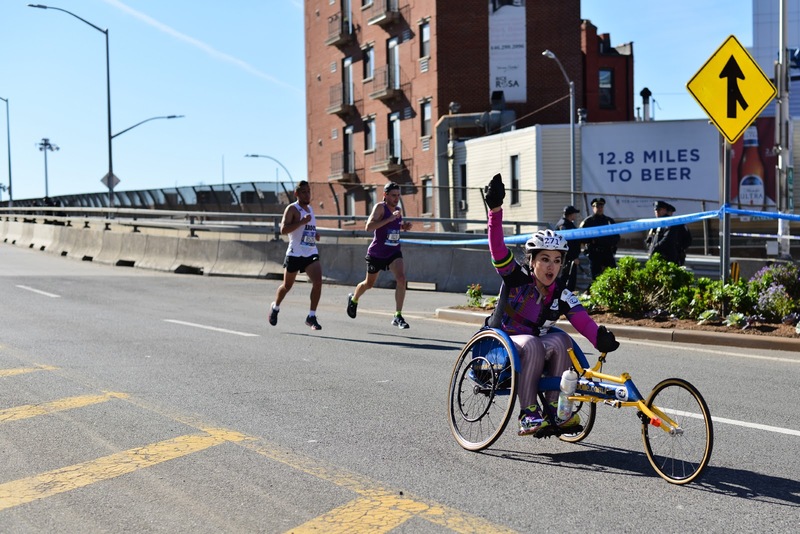 Whatever the case for each of these special individuals, our many salutes go out to them for their composure at this point of the marathon.